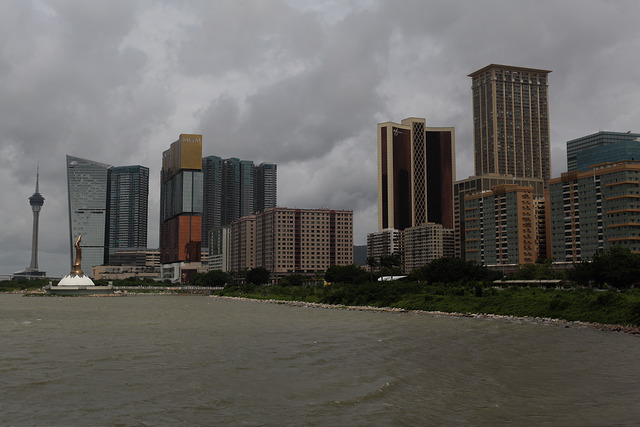 Macau is a small island off the coast of China. It was under Portuguese governance until 1999, when it was returned to Chinese control. Much like Hong Kong, Macau has a different political and economic system than mainland China, referred to as one country, two systems. It is a popular gambling destination, with many casinos. Gambling revenue there in 2006 exceeded that of Las Vegas! 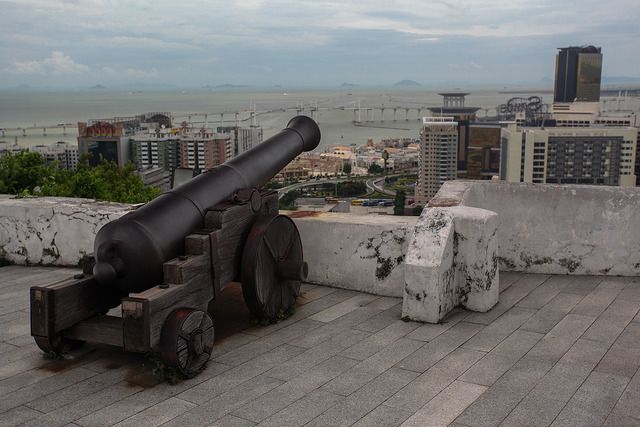 1: 17th century Guia Hill Fort and Lighthouse, located on the highest point in Macau. 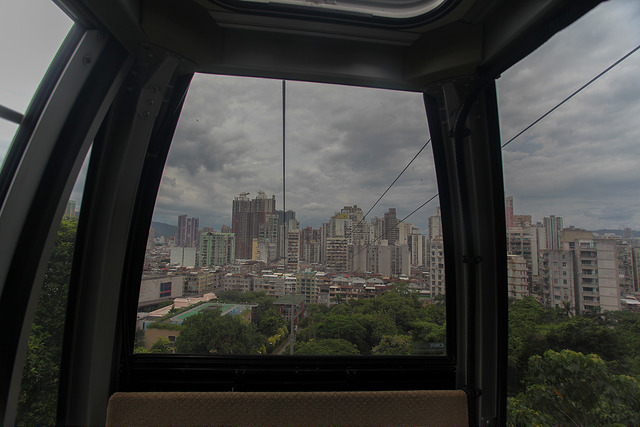 2: To reach the top of the hill, you can climb several steps or take a scenic cable car ride. 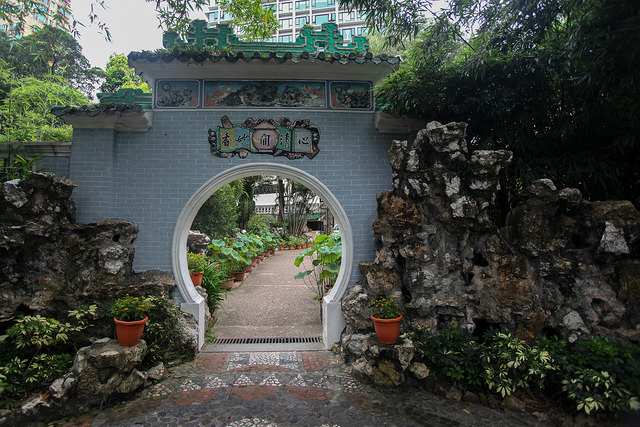 3: The entryway to the Lou Lim Leoc Garden. 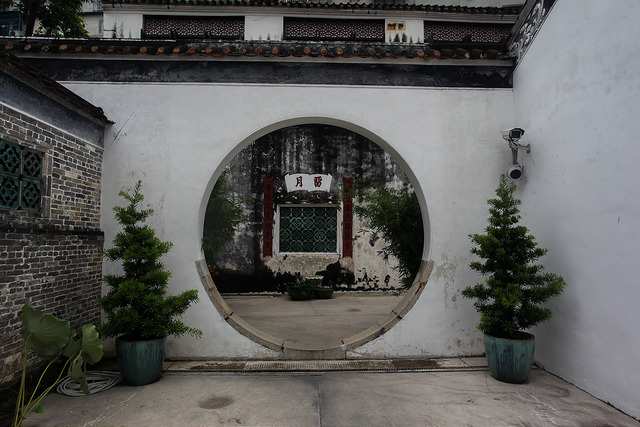 The place I discovered that I love round entryways! 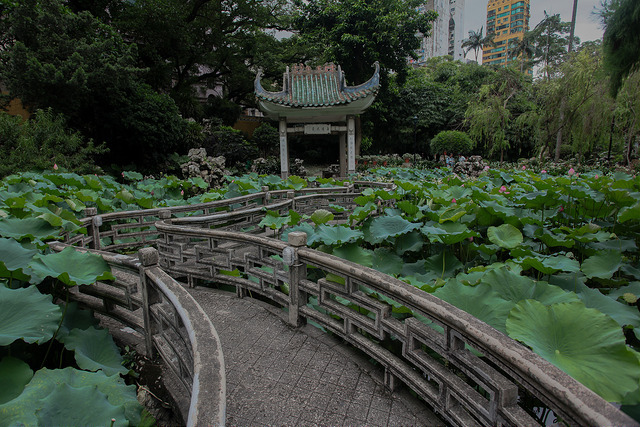 4: A winding footbridge across a pond in Lou Lim Leoc Garden. 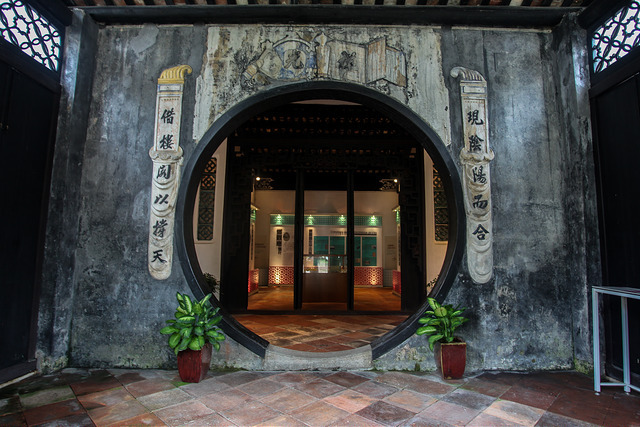 5-6: Two more outstanding round entryways in Mandarin’s House, a residential complex built in 1869. 7: Downtown Macau and Casinos, as seen from the Macau Science Center. 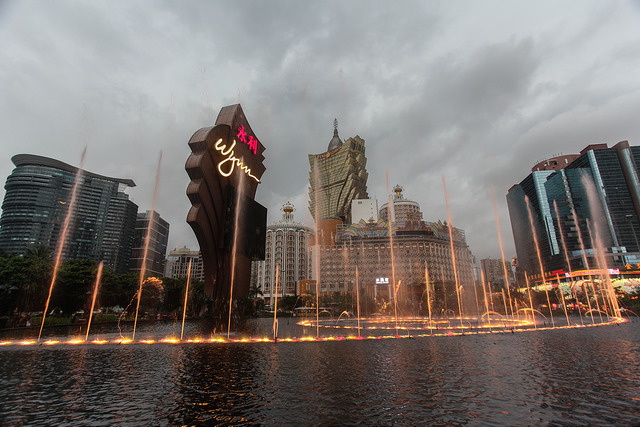 8: There’s a reason Macau is called the ‘Vegas of Asia’! Popular Casinos like the Wynn, Venetian, and MGM can be found there. 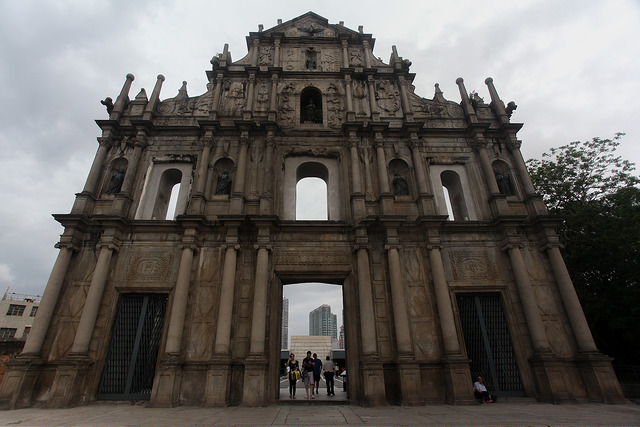 9: The ruins of St. Paul’s Jesuit church, built in the 17th century. Only the facade remains. 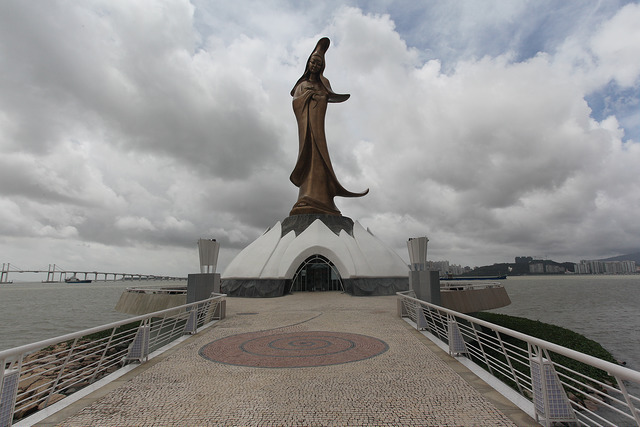 10: The Kun Iam (Goddess of Mercy) statue was built by a Portuguese artist and inaugurated in 1999, around the same time China assumed control. It was built as a message of solidarity.